Here’s a fun way to help your child learn to spell his name? 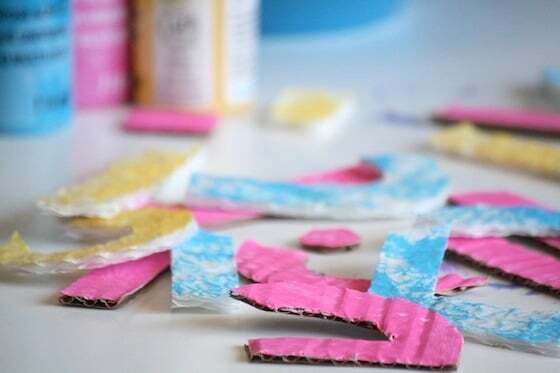 It’s an easy, colourful homemade name puzzle made with painted cardboard cut-outs! I love making homemade puzzles for my daycare kids. In fact, one of my favourite ways to teach a child how to spell their name is with a homemade name puzzle. It’s a great way for them to learn how to recognize the letters in their name, and to put them in order to spell their name correctly. 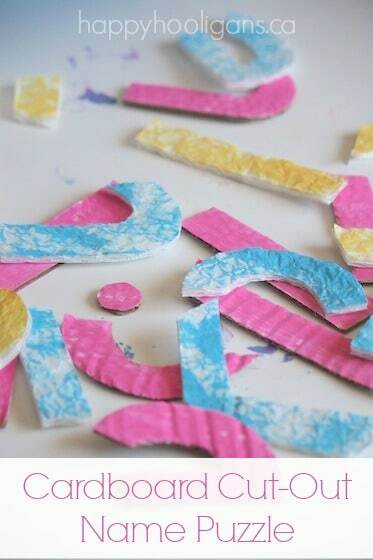 I like to use colourful, textured paper for making these name puzzles. 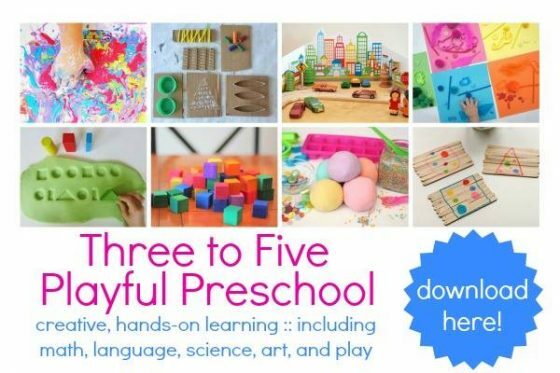 Children learn best when their senses are engaged, so puzzle pieces that are bright and colourful and lovely to the touch not only add interest, they actually enhance the learning process. In the past, I’ve used wall paper samples and scrap-book paper to make our name puzzles, but today we’re re-using some simple materials that were headed for the recycling bin: a liner from a box of chocolates, and a thin piece of corrugated cardboard. a crinkly, slightly puffy liner from a box of chocolates. 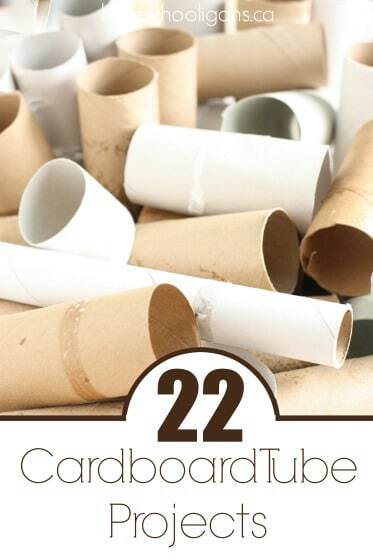 First off, put a quick coat of paint on your textured cardboard. 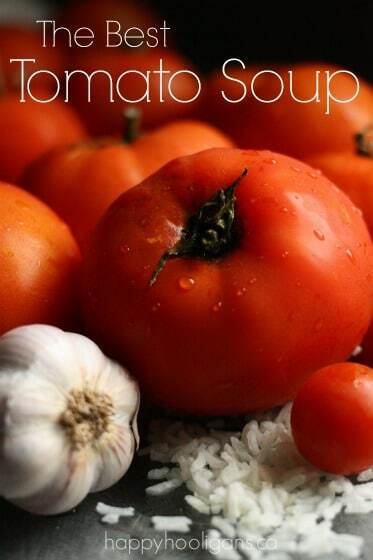 Then you’ll need some upper and lower case letter templates. 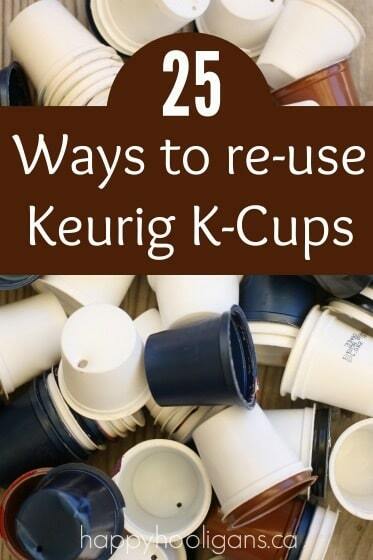 Print those off, and cut them out. Trace the letters on to your textured material, and cut those out as well. 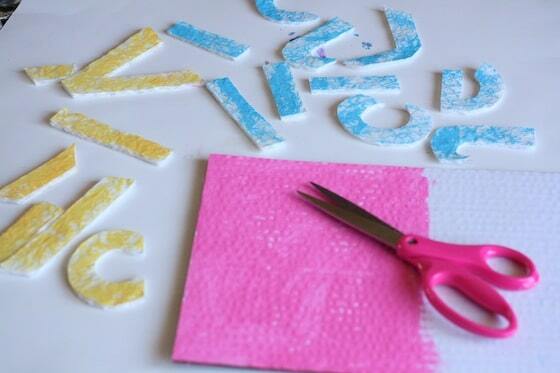 Once you’ve cut your letters our, you can chop each one into two or three pieces. 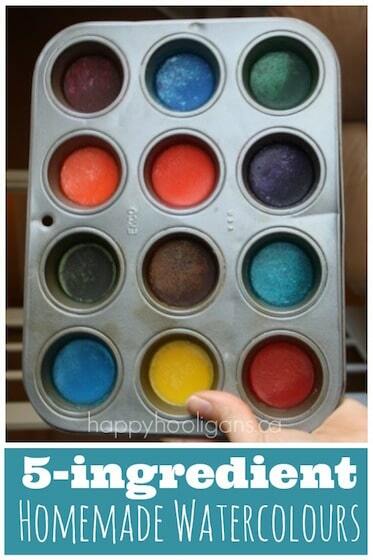 Now just hand those puzzle pieces over to your child! 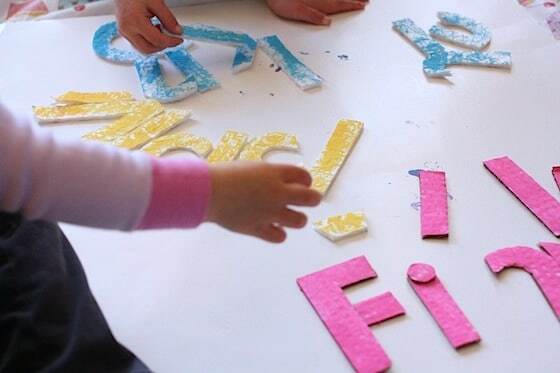 Explain to your child that each letter is in pieces, and he or she can piece the letters back together, and put them in order to spell his or her name. 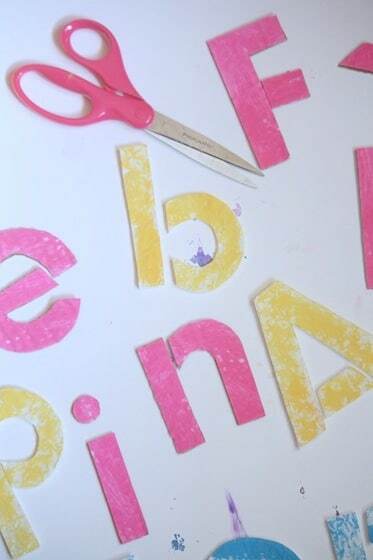 For toddlers just learning their letters, you may not cut the letters up at all. You may just let them play with the letters while learning to put them in the correct order. 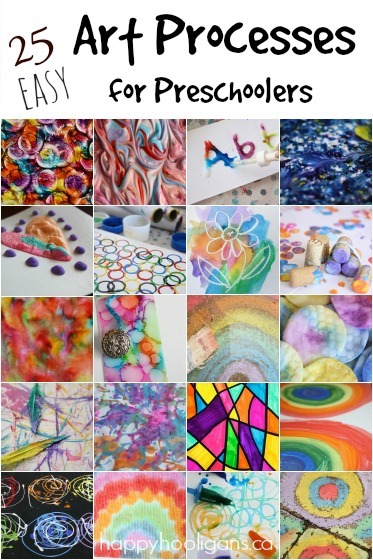 For preschoolers, you may want to write their name out for them so they can use it to refer to as a guide until they become familiar with the shapes of their puzzle pieces. 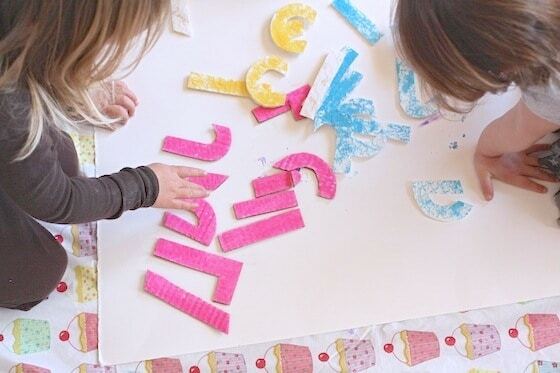 What a fun way to explore letters and learn to spell your name! I love this idea, Jackie! 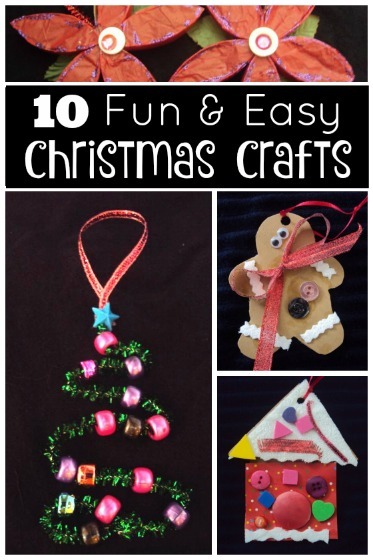 I’ll be sharing it on The Crafty Crow soon! Yay! Thanks, Cassi! So glad you liked it!